A front toggle necklace with your choice of "message" on a waved strip of sterling as part of the design. Available with choice of pendant: Dragonfly, Lotus, Owl, Rose, or Angel Wing. You may choose the length of the necklace. The message itself should not exceed 25 characters including spaces. 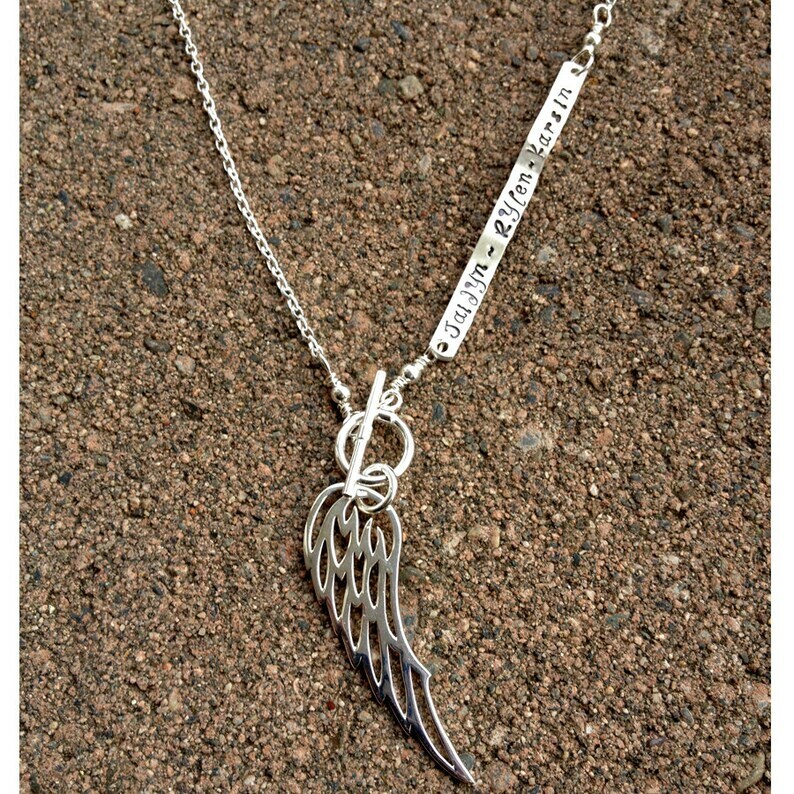 Please indicate your message, font, length, and pendant choice in the comments when you are checking out. ♥ We now ship *all orders* USPS Mail unless requested otherwise. ♥ PLEASE VIEW OUR POLICIES PAGE FOR MORE INFORMATION ABOUT FORGING TIMES, SHIPPING, AND STORE POLICIES original. This is a very unique and striking and beautiful necklace! I highly recommend it! It's a Wolpertinger carrying a sausage.